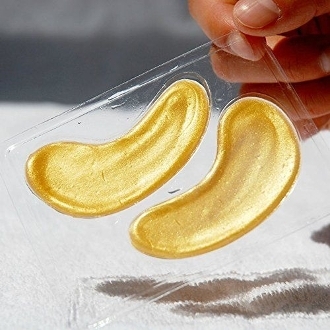 24K Gold Powder Gel Collagen Eye Mask. Benefits include: Anti-aging; Eliminates dark circles and fine lines; Speeds-up cell & Collagen rejuvenation; Increase elasticity; Reduces under eye bags; Firming; Relieves the look of fatigue; Moisturizes. 1 set.